Fall is finally arriving and I've got food on the brain! It might be because all of the good-eating holidays are on their way. Or maybe this is usually when we began prepping for the longer trips. This year, we're in search of a location that's not just Instagram-worthy, but also gets down in a culinary fashion. It’s not just the view that travelers are preening to see when deciding on a destination. If you’re like me, good food is a must. Yummy, immersive food experiences can show you the truth and values in a culture. Last year, I was lucky enough to travel to Italy for free and eat delicious authentic dishes from nearly every region of the country. I filled up on fruit, cheeses and fresh pasta while stuffing my carry on with all the snacks I could carry. This year, Liberte' and I want to help you plan a similar Italian vacation, all expenses paid!!! A "Roman Holiday", if you will. A STELLAR WAY TO END THE YEAR? !?!? Coach airfare for two to Rome, Italy. Ground transportation between the destination airport and hotel. Five nights’ hotel accommodations – including breakfast. A Private Frascati Wine Tour in the region of Lazio with multiple tastings of premium wines. Lunch at a famous WWII vineyard. Rules and Regs: Must be 21+ to enter. After entering the sweepstakes you will be emailed a coupon for $1 off 3 yogurts. All entries will receive a chance to win one of our ten secondary prizes, a $50 Publix Gift Card, so you can elevate your taste and explore new flavors locally. The winner and their travel companion will be responsible for obtaining valid passports and any other documents necessary for international travel. The search for good food doesn't end abroad. Even at home, I'm out exploring bright flavors and finding new favorites to incorporate into my kitchen. Sicilian Blood oranges are having a major moment and there's good news even if you can't find them in your local markets: anyone can get in on this bold, refreshing flavor. I've been getting my fix of this kicky citrus with the new Liberté Italian Blood Orange with Ginger flavored yogurt, exclusively found at Publix. 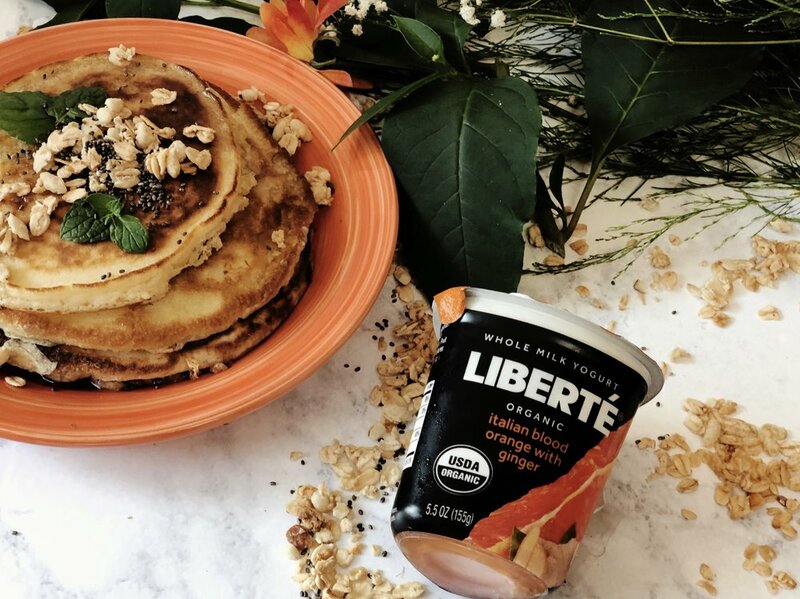 Founded in Montreal, Canada as a small kosher dairy in 1936, Liberte prides itself on crafting exceptional dairy products from simple, fresh ingredients. Made with no gelatin, sugar substitutes or preservatives, Liberte' scores big for its simplicity and silky whole milk organic yogurt. Live, active cultures add a layer of deep flavor, punctuated with the bold flavors of real fruit. I came across these adorable triangles with stand out black labels while perusing the diary section at Publix. I've had blood oranges on my short list of flavors to acquire, so I was a thrilled and curious when I discover this ambitious pairing. I chucked a few in the basket and some granola for what I assumed would be a delish parfait. Craving something sweet and light before dinner nearly a week later, I actually got around to trying the blood orange yogurt for the first time. Game changer! Yogurt is something of a perfect food for me. It's an easy base for a creative breakfast bowl, a convenient mid-afternoon snack, and helps to pull together a savory dinner with flair. To be fair, I like most yogurts, so I figured this would be no different. I was floored by the flavors! The year is ending soon and now is a good time to ditch the boring and try something new. Whether it's a new stamp on your passport from the old country or a vibrant, new yogurt flavor, Liberte' has something to make us all happy. Try your luck and enter the sweepstakes for a chance to win free travel to Italy for two and $1000 in spending money! Then use your coupon to try the new, exclusive at Publix, Liberte Italian Blood Orange with Ginger while plotting out your chic Italian wardrobe.